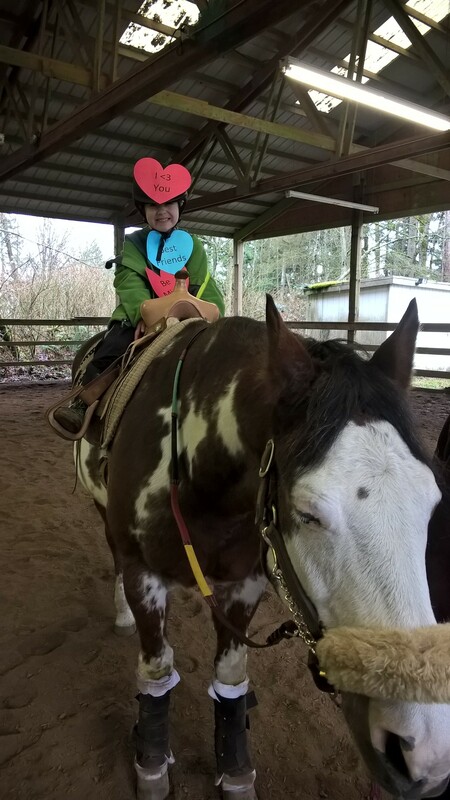 I recently read a great article, “Paying Attention,” from one of my favorite therapeutic riding blogs, “Lessons in TR.” When I saw the blog in my inbox I immediately thought it would contain tips for keeping students attention during lessons, and while it did, there was much more contained in the blog than I initially thought. 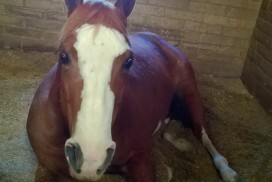 The first paragraph talks about how the writer’s focus has impacted her own relationship with her horse. Most riders that encounter this situation would be concerned about keeping their horse on track and focused. However, the writer realized that by being the lookout, her horse can have a more enjoyable time, which in turn makes it easier for the rider. This theory works because horses are both prey animals and herd oriented. Just like with other animals, there is an alpha that looks out for the herd’s well-being. When the rider showed her horse that she was aware of their surroundings and prepared to fight, if need be, it calmed the horse. So how does this relate to therapeutic riding? When working with kids who have sensory processing or attention deficit disorders it can be hard to keep them on track and focused. Many times the rider is seemingly more interested about the stimuli around them such as, other horses or, cars pulling in the driveway, the barn cat, etc. I find myself doing this often in lessons, especially with kids who are quieter or engage less, particularly if they are having a hard day. In our arena a lot of the property is visible. We can see cars pulling into the driveway, horses in their paddocks, and people in the barn isle, which tends to lead to a lot of interruptions. One day in particular, the frost was melting and dripping in our indoor arena so all of the kids were noticing and transfixed by the droplets of water. Instead of asking the children to pay attention, I acknowledged the water drops. Each time I did so this had the children looking towards me, even if only for a second, as they realized that I saw what they saw. By recognizing these little things and listening, I am meeting my riders on their level, showing them I am interested and better allowing them to communicate with me. If you’d like to read the full blog you can find it here.